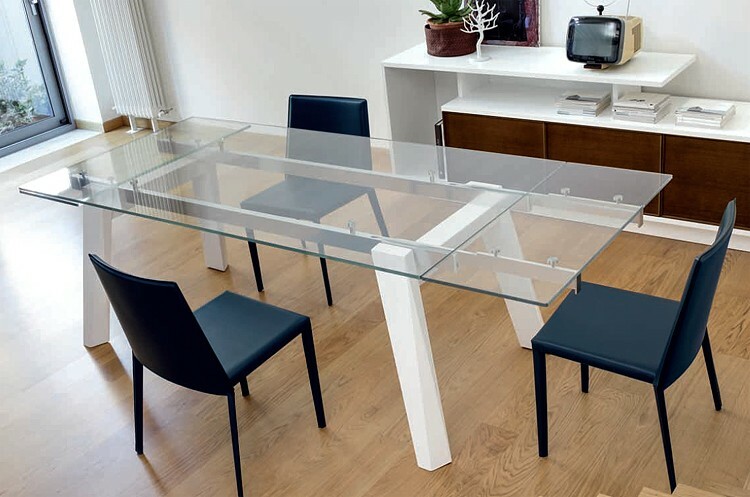 Extending dining table with a rectangular glass top in transparent (10mm thick) or extra clear glass (12mm thick). 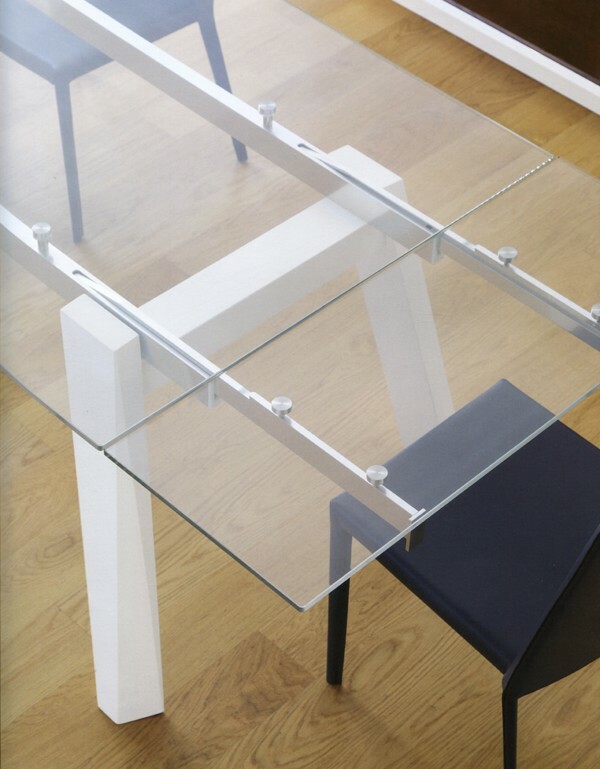 The chunky wooden frame has angular shaped legs and is available in various wood finishes or matt lacquered (open pore). 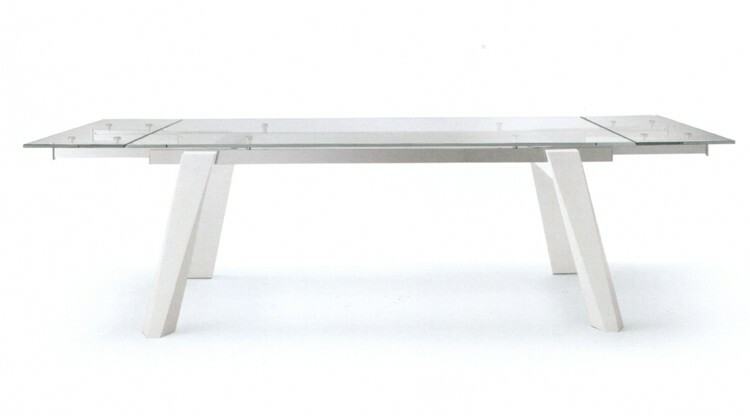 An open pore lacquered finish allows the wood grain to be seen beneath the color. See sample links below for available options. Fixed length version also available, see related products below.